A New York Times bestseller, The Accidental Empress is the “captivating, absorbing, and beautifully told” (Kathleen Grissom) love story of “Sisi” the Austro-Hungarian empress and wife of Emperor Franz Joseph. Sisi crouched low, peering over the wall of brush. Her gaze was alert, her legs ready to spring to action, her heart pumping blood throughout her veins with a speed that only the hunted can sustain. Just then Sisi spotted the figure crossing the meadow, a dark silhouette piercing the backdrop of the crenellated white castle and deep-blue sky, and she ducked once more out of sight. Her brother Karl had not yet found her, and he yanked on his horse in frustration, as if to remind the beast of the authority his sisters so brazenly flouted. Sisi watched Karl, her contempt thickening as she discerned his thoughts: clutching the reins, he imagined himself a Germanic warrior atop a stallion, ready to ride on the Hungarians or the Poles and seize glory from the battlefield. “Karl the Beneficent, Duke of Bavaria, demands that you come meet your lord and surrender!” He scoured the woods, his words finding Sisi even as his eyes failed to locate her. “Kiss the ring and I shall show you mercy—more mercy than you deserve. But if you continue to run and hide like rodents, I shall have to flush you out. And when I do, you shall wish you had surrendered!” The horse pawed at the ground, agitated under Karl’s grip. Sisi was fed up with being the prey. The odds were not just; if she had had the chance to mount her own horse, Bummerl, she would chase Karl all the way to the Bavarian border, and he knew that. But she hadn’t expected to have to fend off her brother when she had wandered toward the wooded lake shore with her sister, Helene, to pick wildflowers. Two years younger than Sisi, her brother was nearly twice her size, his thirteen-year-old body robust from adolescence, beer, and bratwurst. But though she lacked his girth, Sisi knew she could best Karl with wit. “We’ll show Karl the Beneficent what a formidable foe he really is.” Sisi nodded at her sister, picking up a cool, smooth stone. Helene responded with a whimpering sound. “So be it,” Karl hollered from outside the woodline, on the far side of the meadow. “You have chosen your own fate. And that fate is—pain!” Karl dug his leather boots into the sides of his horse. The beast whinnied in response, and then Sisi felt the earth begin to vibrate beneath her. “Now we’re really in for it, Sisi.” Helene paced in their hiding spot like a wounded animal as the sound of hoofbeats grew louder. “Trust me, Néné, all right?” After a pause, Helene nodded her reluctant assent. Sisi poked her head out once more from behind the brush and saw that her brother had almost cleared the entirety of the meadow. He rode toward the woods where they hid, his eyes narrowed to two slits as he scoured the brushline. But he had not yet discovered their hiding spot. Sisi took aim, raising her hand and the rock in it. The hoofbeats were like cannon blasts now as Karl barreled toward them. She waited, patiently, allowing him to come still closer. When he was within striking distance, Sisi released the rock, hurling it with as much precision as she could manage. “Ouch!” Karl yelped in pain, halting his horse and sliding out of the saddle before collapsing into a heap on the ground. From the stream of blood curling downward from his nose, Sisi knew she had hit her mark. They had to seize their opening. “Helene, run!” Sisi ordered, pushing off from her crouched position. She charged toward home on the other side of the field. “Why, you little witch!” Karl yelled at Sisi’s passing figure, but he remained prostrate on the ground, stunned by her assault. Heart flying in the heady moment of victory, Sisi raced across the meadow toward the large house. Her own legs might not carry her as swiftly as Bummerl’s could, but they were strong, agile from years of skipping up the mountains, swimming in the lake, hopping across the fields in search of plants and small animals. They would be enough to deliver her to safety. Glancing over her shoulder to ensure that Helene followed, Sisi cried: “Hurry up, Helene!” She grabbed her older sister’s arm, forcing her to keep apace. They shared the same parents, but little else. Helene thrived indoors: studying languages, reading philosophy, knitting, or writing quietly in a shadowy corner by a fire. Sisi always took charge when they were out of doors. A few more steps and, hands linked, they cleared the meadow. Panting, Sisi rushed past a startled footman and flew into the front hall of the castle, Helene following behind her. Through the latticed window she saw that her brother had regained his mount and now trotted away from the lake toward home. Duke Maximilian’s inanimate frame occupied a large, overstuffed chair in the corner of the dark room. At his feet, beside his mud-licked boots, reclined two snoring hounds, their own paws caked in dirt. They lifted their heavy heads in a perfunctory greeting as the girls ran in, but the duke continued to snore. A lit pipe sent up a curl of smoke where it burned in Duke Max’s lap, forgotten. “Papa, wake up.” Sisi removed the hot pipe before it singed a hole in his woolen pants, and placed it on the side table. “Wake up!” The duke choked out one last snore before he emerged from his deep slumber, his breath overripe with the sour stench of beer. “What’s that?” The duke rubbed his eyes, bloodshot and droopy-lidded. Sisi heard her brother barking a question at the startled servants outside: “Which way did they go?” The front door opened and she heard Karl step into the great hall, his boots landing heavily on the stone floor. “Ah, Sisi.” Now Duke Maximilian shifted in his armchair, staring at her through glassy eyes, the same honey color as Sisi’s, though not lucid this afternoon. “You’ve arrived just in time. I was just learning a new tavern song.” The duke looked at his favorite daughter with a drowsy grin, lifting an index finger as he began to sound out a bouncy, peasant tune. “But have the others left? Gone home, already?” Duke Max looked around, his gaze listless. Helene began to simper. “Papa, please.” But their father stared into the sputtering flames of the fireplace, his empty beer mug tipped toward his lips in an effort to sponge any last drop. “Sisi, what do we do?” Helene backed away from Karl. Sisi cursed under her breath as her victory turned to failure. She should have heeded Helene’s pleas and mollified Karl; her own reckless pride had led them to this. “I’ll teach you sneaky whores to defy me.” Sensing weakness, Karl lunged first toward Helene. “Get off her!” Sisi tightened her hands into two hard fists and prepared to land the first blow before what would undoubtedly turn into her own beating. She shut her eyes, so that she didn’t see the figure emerging just then through the doorway. “There you are.” Duchess Ludovika swished into the drawing room, an imposing figure of black silk, crinoline-hooped skirt, and thick brown curls. Karl instantly recoiled at the sight of their mother, retreating into a shadowed corner. “Mamma!” Sisi ran to her mother, falling forward into the duchess’s long, slender frame. She shut her eyes, dizzy with relief. “Sisi, my girl. Whatever is . . .” But the duchess paused as her eyes moved from Sisi toward her husband’s reposing frame, and the large slicks of mud darkening the carpet. “Look at this mud!” The duchess sighed, her shoulders rising and falling with each irritated intake of breath. “I suppose the servants will have to clean the carpet again.” Then, under her breath, she murmured, “And I’ll have to ask them to dust in here, as well. And this curtain needs mending. And I must remember to ask how the chickens are doing with eggs . . .” Ludovika sighed, tugging once more on the tattered curtains. Unlike her husband, who seldom concerned himself with the managing of their home or the petitions of the local peasants—and certainly not with the concerns of his children—Ludovika always had too many tasks, and too little time in which to complete them. The duchess looked to her daughters now, the two of them cowering beside her like frightened kittens, and then to Karl’s bloody face. Understanding spread across her features. She let out a weary sigh, looking out the window, as if longing to escape this dark, mud-stained room. “Gackl,” Ludovika spoke, her tone suddenly sharp. “Is that your horse I see in the garden, untethered?” Their mother used the familiar nickname for Karl, the name they had given him in his cradle because of the noises he had made. Gackl was the local Bavarian term for a dirty, barnyard rooster. Sisi thought it suited Karl just fine. “Well, is it?” The duchess repeated her query when Karl didn’t respond. Karl looked out the window, fumbling for a reply. She cut him off. “Yes, Mother.” Karl answered, his ink-colored eyes burning with a warning to Sisi: This is not over. “That boy.” The duchess turned from her departing son to her daughters. “And look at you girls—no better. As dirty as a pair of reapers.” The duchess scowled at Sisi, surveying the tracks of mud that lined her daughter’s skirt. Yet she never forbade them from wandering into the woods to pick flowers, or down to the lake to fish. “Quiet down, Ludovika, I can hardly hear Frau Helgasberg speak.” Their father looked up at his wife from his armchair, momentarily pausing a conversation he appeared to be conducting in his head. Sisi felt herself cringe at the name. Frau Helgasberg was one of her father’s favorite mistresses. That he uttered the name now so unashamedly was nothing new: everyone in the home knew of her existence. Everyone in the duchy knew of her existence. And yet the brazen and frequent reminders of her father’s infidelity never failed to infuriate Sisi. Ludovika, for her part, was unflappable, not faltering for a moment. “Max, how about a walk to the lake?” The duchess glided to her husband’s side and lifted one of the empty glasses to her nose. She sniffed disapprovingly and swept the other empty mugs into her hand. “Up you go, Max, you’ve squandered enough of this day.” Ludovika pulled at the wool blanket covering her husband with her remaining hand, but he pulled back, keeping his arms on the cover. “Away!” He growled, a loose dribble of slobber slipping out the side of his mouth. “Sisi, my wild girl! Helene! Come sit, we are waiting on you two, as usual.” The duke appeared more alert at dinner, no doubt thanks to the mug of Turkish coffee his wife had placed before him. The family was gathered in the castle’s formal banquet room, surrounded by the stuffed heads of the large caribou, reindeer, and bright orange fox that decorated the walls. The spoils of her father’s countless hunting expeditions. Watching him now, his frame jittery and his eyes bloodshot, it was difficult for Sisi to imagine Duke Maximilian hunting his way through Bavaria. But tales of his skill as a sportsman were well known; he was seldom at home in Possenhofen for more than a few months before fleeing on another such trip. He, like Sisi, loved the wilderness. Perhaps even more than he loved women and liquor. “Your mother insisted that we all clean up for this dinner. What do you think she has afoot?” The duke grinned at Sisi, his amber eyes twinkling with teasing, and Sisi’s disdain for him lessened ever so slightly. In their unstructured household, such formal dinners were a rarity. The duke was seldom at home in the evenings. Their mother, though she tried valiantly to impose some sort of order over a masterless household, found it hard to wrangle her brood of wild and free-spirited children. This time of year, with the days stretching out as they did, long and mild, Sisi’s evening meal was often little more than a bowl of cold soup whenever she wandered indoors, sun-kissed and dirt-stained, from a day spent in the fields and woods. Sisi presumed that the formal dinner had to do with the news to which her mother had alluded earlier in the day. Was it possible that there was another baby on the way? What with the four siblings that had come since Karl—the little girls Marie, Mathilde, Sophie-Charlotte, and the baby boy, Max—Sisi had grown accustomed to such announcements. It seemed that, however much enmity existed between her parents, they both submitted willingly, and often, to the task of producing heirs for the duchy. Each one of Papa’s long absences was inevitably followed by his unexpected return: a chaotic, confusing family reunion; weeks later, news of another baby. But Sisi did not suspect that that was her mother’s news this time; not when Mamma’s busy behavior lately had been so unlike her past pregnancies. Sisi took a seat now at the large mahogany table beside Helene. She had dressed, according to her mother’s wishes, in a simple gown of black crepe, and the maid, Agata, had brushed and styled her long hair into two plaits. “Black dresses again tonight. Always black.” Sisi had lamented to her sister and the maid while dressing before dinner. “Hush, Sisi. Don’t let Mamma hear you complaining about the mourning clothes yet again,” Helene had chided her. Like her mother and Helene, Sisi’s wardrobe was limited these days, on account of an unknown aunt’s recent passing. “But I’m tired of black. I didn’t know Great-Aunt . . . whatever her name was . . . and I want to wear blue. Or green. Or rose.” Sisi yanked her head in opposition to Agata’s tight braiding. Karl, opposite Sisi at dinner now, wore a fine black suit and cravat. He had wiped the blood from his wound, but a light-purple bruise had begun to seep along the flat ridge of his nose. As he gulped his beer, scowling at his sisters and tugging on the too-tight cravat around his thick neck, he appeared more like a schoolyard menace than the heir to the duchy. The younger four siblings, under the age of twelve, did not dine with the family, but ate in the nursery with their governesses. “Wine, Master Karl?” Agata circled the table, pouring wine into goblets while two footmen stepped over the snoring dogs to deposit platters of hot bread, potatoes, and cabbage slaw. “No wine for me, Agata. More beer.” Karl proffered his empty stein for refilling. Sisi noted how Agata replenished Karl’s drink while keeping her body a safe distance from his; her brother’s hands—like his father’s before his—tended to wander when an unsuspecting woman got too close. “Now that we are all here.” Duchess Ludovika sat straight-backed and alert, her manners impeccable, a foil to her husband’s tired slouch across the long table. “Max, they have been told countless times not to touch your Egyptian memorabilia. I assure you they have not.” The duchess, at the opposite end of the long table, speared a link of bratwurst with her fork and deposited it onto her plate. Sisi had witnessed this exchange enough times to know that her mother had to suppress the urge to offer an impertinent reply. The duke continued to grumble: “I can’t have the servants meddling with such priceless treasures.” Sisi knew that her father, when he was not off stalking wildlife, drinking his way across Bavaria, or fathering illegitimate peasant children, cared about nothing more than the collection of artifacts he’d assembled in his study at Possenhofen Castle—chief among them the relics with which he’d returned from Egypt decades earlier, on a trip to the Temple of Dendur. Sisi had always lived in fear of the mummified young female body kept in her papa’s study—especially after Karl had taken the time to explain in vivid detail about the dead girl’s corpse, just about the size of her own, preserved under the crusty, yellowed wrappings. “What is it, Mamma?” Sisi glanced at Helene. While dressing for dinner, they had tried to guess, but neither of them had come up with a reasonable theory as to what their mother’s announcement might be. “Perhaps Karl is betrothed,” Helene had guessed, a contemptuous smirk on her face as she had helped Agata braid Sisi’s mass of dark golden hair. “Poor girl, if that’s the case,” Sisi had answered, laughing with her sister and her maid. Sisi sat up, her back stiffening against the chair. “Surely you girls remember your Aunt Sophie?” The duchess fed herself slowly, eyes flitting back and forth between her two daughters. “Aunt Sophie, the Austrian?” Helene asked. Sisi remembered the woman she had met five years earlier, during a trip to Innsbruck in Austria. Aunt Sophie had been strong and tall and thin, in many ways resembling her mother. But unlike Ludovika, Aunt Sophie had had a sharp edge that permeated her entire being—her voice, her mannerisms, even her smile. It had been 1848—the year that the uprisings roiled throughout all of Europe. Vienna was burning and Austria’s royal family, the Habsburgs, had been at risk of losing their ancient hold on the crown. Aunt Sophie, who had become a Habsburg when she married Emperor Ferdinand’s younger brother, had begged Ludovika to come support her at the royal family’s emergency meeting in Innsbruck. They met at the imperial retreat, high atop the stark Austrian Alps. Sisi, then ten years old, remembered the trip well; she had grown up in the mountains, but had never seen anything quite like the snow-capped scenery into which they traveled. “We are at the top of the world,” Helene had gasped, as the carriage had climbed higher and higher. Sisi remembered wondering at what point the sky stopped and the heavens began. On the first night in Innsbruck, her mother had left them in a dark nursery, rushing away beside her elder sister and a crowd of men in clean, crisp uniforms. The adults had all seemed very busy and very cross—tight-lipped whispers, creased foreheads, darting eyes. Innsbruck passed, for Sisi, as interminable hours with stern, unknown governesses in that quiet nursery. Karl had been perfectly pleased; the imperial nursery was well-stocked with candied nuts and their cousins’ trains and toy soldiers. But Sisi had longed for her mother. At home, they were never separated from her for more than a few hours. And they seldom spent summer days entirely indoors, but rather conducted their education by climbing the mountains around their beloved “Possi,” fishing the lake, riding horses, and studying the local flowers. Sisi had spent the hours of that trip staring out the glistening windows of the nursery at the mountains, wondering where the birds that flew overhead landed in the rocky, barren vista. On one such afternoon, restless and aching for a glimpse of her mamma, Sisi had slipped unnoticed out of the nursery. After a fruitless search, Sisi found herself wandering the long, empty halls, lost. Now she had no idea how to find her mother, or how to get back to Helene and the stern imperial governess, a woman by the name of Frau Sturmfeder. It was then that Sisi had stumbled upon the familiar figure of her aunt, the woman’s heeled shoes clipping down the long hall. “Auntie Sophie! Auntie Sophie!” The resemblance to her mamma had been such a relief that Sisi had flown toward the woman, arms outreached and expectant of a hug. Sisi was met, instead, with a cold slap to the face. “Calm yourself, child.” Sophie scolded her, the skin around her lips creasing into a patchwork of well-worn lines. “You do not run in the palace, and you do not accost adults. My sister is more determined to raise a pack of wild things than to groom you into civilized little nobles. Now, why are you alone? Back to the nursery at once.” With that, the woman had straightened her posture, patting down the place where Sisi’s tiny hands had pressed into her skirt, and continued her determined march down the long hallway. She did not glance back toward her niece again. “You know what they say about your Aunt Sophie?” The duke glanced at Sisi, a mischievous grin tugging on his lips. “Max, please, it’s really not appropriate—” The duchess lifted a hand, but failed to quiet her husband. “They call your Aunt Sophie ‘the only man in the Viennese Court.’?” The duke erupted in laughter, pushing his coffee mug to the side as he opted instead for wine. “Didn’t that happen when we were in Innsbruck?” Sisi asked, recalling once more that unpleasant trip. Her parents seldom discussed politics, and the remoteness of Possi was such that Sisi’s indifference toward the topic was allowed to go unchecked. But still, she knew that her aunt occupied a powerful position in the Austrian Empire. Sisi remembered her cousin from that same visit to Innsbruck: a stern teenage boy, his hair the color of cinnamon. He had been too old for the nursery, but it had been his trains and toy soldiers that Karl had hoarded. Sisi had only seen her cousin a handful of times, always in the company of his military tutors, attendants, and his mother. Sisi recalled how Franz, a narrow-framed boy to begin with, had seemed to shrink whenever his mother had spoken, looking to her for cues as to where to stand, awaiting her subtle nod before answering a question posed to him. Why had that reserved and taciturn boy been selected as emperor to replace his deposed uncle? Sisi wondered. “?’Spose you’re right, Ludovika. Let’s drink to good old Soph. She’s got more stones than the rest of us.” The duke took a keen swig of his wine, oblivious of his wife’s scowl. “So, is Cousin Franz old enough to assume power now?” Sisi asked, turning to peer at her sister. Helene sat quietly, nibbling on a small bite of potato. Helene never had much of an appetite. “How did Cousin Franz become emperor when it was his uncle’s crown?” Sisi asked, trying once more to picture that timid, red-haired boy on a throne. “Probably why all the men like to point out the stones on that one, that Sophie,” the duke muttered, grunting out a quiet laugh. Ludovika threw a pointed glance at her husband. Sisi shifted in her seat, looking sideways at Helene as a tenuous silence settled over the table. Sisi swallowed, unsure why this simple statement caused her stomach to flip as it did. But why was Mother staring at Helene like that? Sisi wondered. A shadow of a suspicion took root in her thoughts, like a shapeless form barely detected through a fogged window. No, Mother couldn’t possibly mean that. The room was silent. Karl tugged on his cravat and ordered more beer. Helene, her cheeks as colorless as the table linens, kept her eyes down. The duchess pushed her plate away, crossing her hands resolutely on the table. “Néné, I never allowed myself to hope for such a fate for my daughter.” Duchess Ludovika’s voice caught on the words, and Sisi was surprised at the moment of rare sentimentality in her usually composed, stalwart mother. Before Sisi could untangle the meaning of these words, her mother continued. Helene dropped her fork to her plate with a jarring clamor. “Helene, you are to be Empress of Austria!” The duchess beamed at her pale daughter, but no one else at the table spoke. Sisi understood Helene’s mute shock. Her own sister, Helene, the girl who had just returned with her from picking wildflowers. The sister who slept beside her at night, burrowing her cold feet under Sisi’s warm legs. The painfully shy girl who loved philosophy and religious instructions, but pled sickness to avoid her dancing lessons. Helene, Empress of Austria? Presiding over the Imperial Court at Vienna? “To Helene,” Sisi echoed halfheartedly, still probing her sister’s features for some hint of a reaction. But Helene’s face was blank. “We are moving up in the world, the House of Wittelsbach, eh, Karl? You won’t have a hard time running this duchy with a sister sitting on the Habsburg throne!” The duke was now in a full celebratory humor. But the reaction elsewhere at the table was mixed: Sisi sat in silence, mining Helene’s face for clues as to her thoughts; the duchess, exuberant at first, now appeared incredulous, stunned by Helene’s expressionless quiet; and Karl seemed far from joyous over the news of his sister’s elevation. “Karl! Have you no shame?” the duchess hissed at her son, staring at him until he lowered the outstretched fork. Sisi reached for her sister’s hand, clammy and cold, under the table. “Helene, it is the greatest of honors, and we are all proud of you for being chosen.” The duchess turned back to her food, which she began to cut with quick, jerky motions. “But, Mother,” Helene spoke at last. “Out with it, Helene.” Ludovika had little patience for Helene’s timidity, a trait which surely had not come from her side of the family. “I don’t want to marry Cousin Franz.” With that confession, Helene dropped her face into cupped hands. Across the table Karl sniggered. This remark, a rare instance of causticity from the usually sweet Helene, served to quiet Sisi. Helene was correct. Sisi was not the one whose fate was being discussed before her, the one who had no say in her own future. Helene shook her head. “Not me.” She wept, noiseless tears slipping down her cheeks. “But I don’t want to marry him!” Helene insisted. “Surely you knew this day was drawing near, Helene? You are eighteen.” The duchess looked to Sisi, as if seeking assistance. “But, Mamma, I don’t even know him,” Helene said. The duke did not look at his wife, nor did he reply, but Helene erupted into fresh sobs. “But I don’t wish to marry—at all.” Helene allowed her mother to wipe the tears from her cheeks. Sisi saw two emotions battling for supremacy on her mother’s face: in one moment there appeared sympathy for a shy, scholarly daughter. A daughter who remained quiet whenever in the presence of more than just the smallest of crowds. But then, there it was: the stronger of the two emotions chased sympathy away, and her mother’s face set with a look of stony resolve. One must do one’s duty. How many times had Sisi heard those words uttered by her mother’s lips? A lady must accept the role that is required of her. Hadn’t she, a duchess of Bavaria, always lived according to that creed, however unpleasant Papa had made it for her? This was how things were done. “Just let her come round to the idea, Ludovika.” Her father, Sisi could see, had grown bored of this discussion. “She’s such a shy, scared little thing. Imagine if we married her off to some rough Prussian Count von Something or other . . . she wouldn’t last a fortnight.” Experience had shown the duke time and again that women would do what was expected of them. With an air of finality, he took a swig from his wine cup. The two men continued their dinner while the duchess returned to her seat, her face pale but expressionless as she picked up her own fork. Sisi had lost her appetite. So, too, had Helene. “Wouldn’t you like a companion at court?” Ludovika’s eyes darted from her eldest daughter to Sisi, who sat beside her, still clutching her hand. Sisi looked to her mother, her heart suddenly pounding as she felt the faintest embers of hope. Helene considered this and, after a long pause, nodded. For her part, the thought thrilled Sisi, sending her heart on a gallop within her breast that made it hard to breathe. Leaving Possi. Traveling to the imperial court: a place of power and fashion and courtiers who exemplified both. A world entirely unlike her simple life in Bavaria. It was petrifying news, but it delighted her. “How does that sound, Sisi?” The duchess looked at her younger daughter. Sisi felt her joy retreat, just slightly, at the bite in her mother’s tone. Sisi nodded, suppressing the smile that wanted to tug her lips upward. “Yes, Mamma.” But inside, her heart leapt. She was to accompany Helene to her new life. Helene, Empress of Austria! She, Sisi, would be there to witness it. “I can do that,” Sisi promised, wrapping her arms around Helene’s thin, spindly shoulders. “Helene, do you hear that? I will be there with you!” The sisters held one another, and for the first time since the announcement, Helene managed a feeble smile. “And”—the duchess leaned close to her younger daughter now— “I hope I do not need to remind you that there are plenty of ways to get into trouble at court, Elisabeth. Aunt Sophie is far less indulgent than I am, and she will be watching. You shall be there to serve your sister, and that is all. I do not wish to hear that you have fallen in love with some Hungarian count.” The duchess frowned and Sisi flushed, avoiding Karl’s burning gaze. Helene was excused from dinner and Sisi allowed to retire to the bedroom with her. They climbed the stairs in silence, both of them sorting through a tangle of thoughts and questions. The Habsburg Court! For Sisi, the news had quickened her curiosity and stirred her restless spirit. Her mind raced into the imaginary scenes she’d witness beside her sister, the empress—the high-ceilinged halls where the waltz had been invented, the banquets, the dances attended by women in skirts so wide they looked like the bells of a cathedral. And her, Sisi, experiencing it all at the age of only fifteen. “What a relief that you shall come with me.” Helene clutched her sister’s hand as they reached the top of the stairs and walked the candlelit hallway to their bedroom. Her sister’s thoughts, Sisi noticed, seemed of a much less enthusiastic variety. “Shall I call Agata for some wine?” Sisi pushed the heavy bedroom door, leaving it slightly ajar. “I will be with you, Néné.” Sisi opened the curtains, allowing in the last delicate rays of summer sun. She stared out the window, looking over the quiet dusk that settled over Possenhofen. The woods beyond the meadow, skirting the border of Lake Starnberg, glowed an indigo blue under the descending veil of night. In the meadow, a farmer cut a slow path toward the village, pulling a tired horse beside him. The smoke of distant hearths coiled skyward in the background, issuing from the barely visible homes that dotted the wooded foothills of the Bavarian Alps. It was such a familiar tapestry; a beloved view, one Sisi could have re-created with her eyes shut. And tonight, knowing that she would be going far away, she savored it with a newfound affection. How many more times might she behold this view? Sisi wondered. “You’ll only be with me until you get a husband of your own. Then what happens?” Helene’s worry tugged Sisi from her twilight reverie, and she turned back to her sister and the darkening bedroom. “He’ll probably insist on taking you back to his own palace in Prussia or Saxony or Hungary. Then what shall I do?” Helene’s lip quivered with the threat of fresh tears. “You heard Mamma”—Sisi walked toward her sister—“I will be at court to attend to you. I promise, I won’t even think of marriage until you are settled and happy with at least half a dozen fat little Austrian crown princes and princesses.” This promise appeared to temporarily assuage Helene’s panic. But only for a moment. “Marriage does sound awful, doesn’t it?” Helene thought aloud, slipping out of her heavy dinner gown and allowing it to drop to the floor. Sisi couldn’t help but notice her sister’s figure, now exposed in just a thin shift and undergarments. It looked so pale and thin and fragile. And yet this would be the body that would be tasked with producing Austria’s next emperor. As if on cue, Karl appeared at the bedroom door, which Sisi chided herself for having left ajar. “So that’s the emperor’s view on the wedding night?” Sensing that the power dynamics had somehow shifted in the household, Karl appeared reluctant to too directly challenge his sisters, but rather hovered at the threshold of their bedchamber. “I heard you talking about your husband.” He grinned at the partially undressed Helene, who quickly retreated behind a dressing screen. “Go away, Gackl,” Sisi snapped, tossing Helene’s discarded shoe in his direction. Surprised by the vehemence of her anger, by the command in her voice, Karl turned and left their room. “What does? Ruling an empire? Wearing the finest crowns and gowns in all of Europe? Dancing to the imperial violins all night?” Sisi ran her fingers through her hair, removing her braids and allowing her heavy waves to tumble loose around her shoulders. “No. What Karl said . . . the wedding night,” Helene whispered. “How did she hear that?” Helene asked, eyes widening. “Oh, they talk about that sort of stuff all the time in the kitchen. It’s only those of us in the front of the house who know nothing about it.” A ludicrous arrangement, Sisi thought, when it was the girls in the front of the house whose bodies were burdened with the important duties of dynasty-making. Helene considered this. “Think about our family—there’s me, you, Karl, Marie, Mathilde, Sophie-Charlotte, and baby Max. Can you believe that Mamma and Papa have done it seven times?” Helene asked. “No, that shocks me,” Sisi answered, shaking her head, and the two of them erupted in giggles. “Good night.” Ludovika smiled, her head disappearing behind the shutting door. Sisi climbed into bed and kicked the covers back, her body warm from the excitement of the evening and the balmy summer air. She sighed, watching her sister where she combed her dark hair before the streaked mirror. “Yes, and you and your butcher-husband could bring the slaughtered animal for the dinner meal,” Sisi added. “And Karl would leave me alone, lest he fear that he might end up in the stew,” Helene added, reluctantly joining Sisi in a giggle. Helene nodded, her features knit in an anxious expression as they reflected the flickering of the candlelight. “I wonder what Franz is like,” Sisi mused, remembering the shy, cinnamon-haired boy of years ago. “It’s all so surreal.” Sisi envisioned the meeting—Helene and this cousin who had grown into the emperor. Meanwhile all of the jilted princesses, countesses, and marquesses of court would gather round, looking on, sniffing for any sign of weakness on Helene’s part, any opening through which to launch a counterassault. Would Helene summon the nerve to charm this young ruler—Europe’s most powerful, most desirable young bachelor? She’d have to. Helene had no other choice. Helene offered no response to this, burrowing under the covers even though the night was a warm one. Later that night, after Helene had slipped off into a fretful sleep, Sisi rose from bed and stared out the window, enlivened by her thoughts and the low-hanging moon that cast a bright glow over the fields and hillsides. Sleep eluded her, as it often did. And on the other side of the window, the night waited, warm and serene, luring her out of the house. Sisi fumbled in the dark for her dressing gown, careful not to creak the wooden floorboards as she did so. She slid her feet into her favorite slippers, a pair of plush, red-velvet clogs. These tattered dressing shoes, a gift on her fifteenth birthday, carried her across the earth whenever she set out on these solitary midnight adventures. These slippers were stained by pieces of the Possenhofen earth, its grass and mud permanently stuck to the soles. Sisi decided, in that moment, that these red slippers would come with her to court. In that way, she laughed to herself, she might always be able to tread on her beloved Bavarian soil. Outside an owl droned its melancholy melody. The crickets in the fields serenaded one another, their bodies like small violins whose nocturnal waltzes had existed long before Johann Strauss had begun composing in Vienna. The frogs in nearby Lake Starnberg belched and blurted out their familiar amorous rhapsodies. Sisi spread her arms wide and looked up at the moon, laughing, reveling in and embracing everything about this night. Sisi’s parents had not raised her to be strictly religious. Spiritual, yes, but not dogmatic. Her father had even shown himself to be lenient when it came to the Reformers in the duchy, the Protestants who so brazenly flouted the Catholic Church and received punishment for doing so elsewhere. But they had imbued in Sisi an appreciation for the Almighty and His presence all around her. While God felt elusive and difficult to find in some of the dank old churches—His words garbled in impenetrable Latin—Sisi felt His undeniable presence in the majesty of the mountains, in the inevitability of sunrise and the softness of moonlight. God was the unseen power that set in motion the natural world; the seasons that ripened and shifted, each one beautiful in its own way; the chamois that leapt uphill without tiring or the stallion that outran the wind. Oh, how she would miss Possi! Sisi remained outside, tracing the perimeter of the squat white castle in silence for quite some time, when suddenly her musings were interrupted by a rustling noise. A sound decidedly different from the crickets and the owls. A human sound. She turned and saw him: a figure gliding across the meadow, in the direction of the village. It was dark, but Sisi knew immediately whose retreating shape she saw. “Papa,” she said. Quietly, so he wouldn’t hear her. Off, most likely, to see some female consort of his. Sisi sighed. “Please let Franz be more faithful to Helene than Papa has been to Mamma,” Sisi begged, sending the prayer out into the warm, still night. 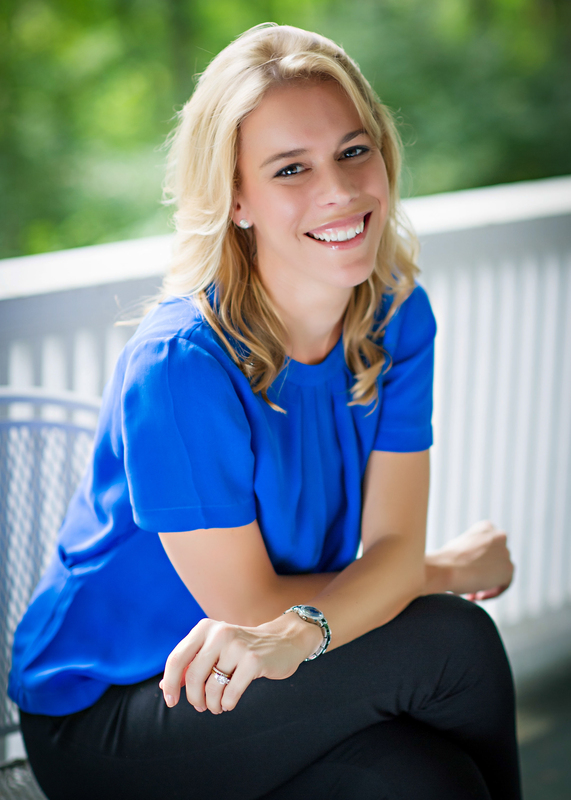 This reading group guide for The Accidental Empress includes an introduction, discussion questions, ideas for enhancing your book club, and a Q&A with author Allison Pataki. The suggested questions are intended to help your reading group find new and interesting angles and topics for your discussion. We hope that these ideas will enrich your conversation and increase your enjoyment of the book. 1) Though Sisi was often referred to as “The Fairy Queen,” this is not your typical fairy tale, in which a girl falls in love with a prince and the two of them live happily ever after. Could Sisi and Franz Joseph have had a happy marriage? Why or why not? How does Pataki’s novel take up the notion of “happily ever after” as it relates to the lives and marriages of the novel’s characters? 2) When Sophie learns of her son’s intention to marry Sisi, the archduchess has this to say: “She is not fit. It is as simple as that. She is too young—a child really, too giddy. Unable to fulfill the role and all of its obligations.” What was it about Sisi that made her, in Sophie’s eyes, “not fit” for the role of empress and wife? Was Sophie at all correct? Why did Sophie prefer that her son marry Helene? 3) As eager as she is to marry Franz Joseph, Sisi quickly becomes overwhelmed and intimidated by the amount of work that goes into preparing for her new role as empress. How would you feel in Sisi’s situation? Would you be excited to undergo such an extreme transformation? 4) On their wedding day, Franz Joseph turns to Sisi and says: “Repräsentazions-pflicht. Keeping up the front. That’s what this is. We play our roles today.” In what ways does Sisi resist this requirement of life at the Habsburg Court? Why does this job requirement bother Franz Joseph less? Would Sisi’s life have been easier if she had just accepted “how things are done,” as Sophie and Franz Joseph so often urge her to? 5) While Sisi bristles at many of the customs and rules of her new life at the Habsburg Court, perhaps nothing upsets her more in her first few days than when she discovers that Sophie has had her red slippers thrown away. Discuss this moment. Why do these “tattered red slippers” matter so much to Sisi? What other moments were difficult for Sisi in her adjustment to life at court? 6) Consider the character of Ludovika. What does the duchess’s presence at court mean to Sisi? Discuss the various mother figures in the novel. How does Sisi’s relationship with her mother compare to her relationships with her own daughters? 7) What is the most difficult aspect of Sisi’s life as empress? 8) Franz Joseph often finds himself in the middle of the conflicts between Sisi and Sophie. How does he do at navigating the tense dynamic? What might he have done differently? Were you in any way sympathetic to Franz Joseph, with the various pressures he shouldered in his roles as emperor, husband, son, and father? 9) Sisi feels dislike for Andrássy before she even knows him. How and why does her impression of Andrássy change over the course of the novel? Did your impression of Andrássy change throughout the book? 10) Throughout the novel, Pataki has chosen to intersperse the chapters with scenes from the Budapest coronation of 1867. Why did the author choose this final scene, in particular, to intersect the rest of the novel? What did this one moment mean for Sisi as empress? As a wife? As a mother? As an individual? 11) Compare Sisi’s relationship to Andrássy with her relationship to Franz Joseph. How are the two men different? In what ways are they similar? How does Sisi behave differently with each of them? 12) Sisi grows more and more consumed by her physical appearance as the novel progresses. Discuss this aspect of her personality. Does her beauty regimen become a true obsession, or is it more of a diversion? Does it make Sisi less sympathetic of a character to see her becoming so vain? 13) Sisi was an avid horseback rider, considered by many to be the best horsewoman in the world during her lifetime. At one point in the novel Sisi tells Andrássy: “I’ve never found a horse that could run fast enough.” Discuss what riding means to the character of Sisi throughout the novel. Through what other diversions does Sisi escape? 14) If you could pick one character from The Accidental Empress with whom to spend a day, which character would it be and why? 15) Consider the two epigraphs at the opening of the novel. Why did the author choose those two quotes? What other quotes are significant throughout the novel? The Accidental Empress is quite the dramatic story! Yes, it certainly is full of drama. Sisi, or Empress Elisabeth, was an incredibly complex individual who lived in a fascinating moment in history. And her story—in some ways very relatable, in some ways completely foreign—played out before such an epic backdrop, with all the accompanying glitz of the Habsburg Court and the tumult of the Austro-Hungarian Empire. What in this is true, and where does the “fiction” part of the “historical fiction” genre come in? I decided early on that I would be crazy not to rely heavily on the historical record for plot and character development in The Accidental Empress. The raw material itself was so good and intriguing that there were all of the fixings in there to make a compelling novel. To begin with, Sisi was not supposed to be Empress of Austria. Hence, the title of this novel. Sisi was a free-spirited girl who left Possenhofen (and a wild, unstructured lifestyle like the one you see her living at the start of this book) at the age of fifteen. She traveled with her mother and sister to support Helene in her coming engagement to Emperor Franz Joseph. Sisi did in fact inadvertently steal the spotlight when they arrived in Bad Ischl, and, in doing so, inadvertently stole her sister’s groom. Archduchess Sophie was not happy to see her plans derailed. Some of Sophie’s quotes in this novel lamenting the unsuitability of such a match are exact quotes. The plot of The Accidental Empress begins with their arrival in Bad Ischl, the women dressed in black (after getting separated on the road from their clothing trunks), and that is in fact how it occurred. Subsequent events and details such as Franz Joseph’s unanticipated attraction to Sisi, the cotillion dance for his birthday, the preparations leading up to their marriage, the births of their children, and their periods of closeness and estrangement are based on historical fact. Descriptions of the incredibly difficult hand Franz Joseph was dealt concerning Austria’s foreign policy, and the wars that ensued in and around the Austrian Empire, are also based on the facts. Sisi did in fact accompany Franz Joseph on the trip to Hungary in 1857, much to Archduchess Sophie’s vexation. While it started out as a great trip for Sisi—one that began her lifelong love affair with Hungary and its people—it was during that time that both her little girls became sick and little Sophie died. The second trip to Hungary described in this book, at which time the dual monarchy was officially established in 1867, was also taken from history. Many of the most deliciously awkward moments of this novel are plucked directly from the historical record. The Morgengabe, or morning gift, was given to Sisi the day after she lost her virginity. I also discovered that Sophie would advise the pregnant Sisi to parade before the palace gates to show off her belly to the public, while she would also warn Sisi not to look at the pet parrot, lest the empress have a baby that came out looking like a bird. Some of the most overwhelming and august moments are true as well: Sisi undergoing a complete makeover in the months before her marriage (and Sophie’s insistence that the bride whiten her teeth and improve her conversational and dancing skills); catalogues of the endless stream of gifts lavished on Sisi by Franz Joseph and Sophie (most likely in an effort to get the “provincial” girl well-dressed enough before her introduction to the highly judgmental Viennese); descriptions of the magnificent wedding ceremony and protocol-dictated reception; the moment in which Sisi flees in a panic during the Kissing of the Hand ceremony; and Sophie accompanying the newlyweds to Laxenburg on their honeymoon, where she spent entire days with a very unhappy Sisi while Franz Joseph returned to Vienna each day to work. Descriptions of the court rituals are based largely on fact, such as the customs of wearing gloves while eating, and discarding slippers after only several uses. So too are the descriptions of the extreme lengths to which Sisi went with her beauty regimen. Putting slabs of raw meat on her face and washing her hair with egg yolk solutions are two of my favorites. Sisi was compulsively preoccupied with her legendary hair and all that went into its styling and upkeep. Some of the most tragic and troubling moments in The Accidental Empress are also taken directly from the historical accounts. Sophie did in fact keep Sisi’s babies in a nursery right off of her own suite, largely restricting Sisi from interacting with them on the pretext that she herself was little more than a child. Sisi was not permitted to nurse or take the lead in raising her young children. And the pressure to have a son? That’s historically accurate as well. A pamphlet was indeed left in Sisi’s rooms presenting the urgent need to produce a male heir, though historians cannot confirm who put it there. The fight over Rudy’s education—a militaristic education like the one to which Franz had been subjected versus the more well-rounded course for which Sisi advocated—was also a source of great conflict in the Habsburg household. And, of course, the constant tug-of-war for Franz Joseph’s attention and affection was an ongoing struggle for Sisi as a young bride and mother. Seeing all of these conflicts that Sisi faced, we can’t help but ask: Why doesn’t Sisi stand up for herself more? Time and again we are rooting for Sisi, and we want to see her stand up for herself. And she does try, throughout. But as twenty-first-century readers, we must resist the temptation to look at Sisi through our modern lens. The mythology of Sisi that persists today is mostly concerned with the personal tragedies she faced as well as her iconic looks. But there’s obviously much more to the character of Sisi than just the beauty for which she is still remembered. She was a human rights activist, an avid traveler, a lifelong student, a devotee of Shakespeare and poetry and philosophy and foreign languages. But Sisi’s was a gradual process of self-realization over many difficult years. It would be anachronistic to expect Sisi, a sixteen-year-old bride with almost no formal education and no idea of what marriage and court life entailed, to adapt effortlessly to her very demanding new role. Sisi was completely ill-prepared for the life into which she was so quickly thrust, and the consequences were as disastrous as you might expect them to be. Franz Joseph, due to both his personality and a lifetime of preparation and grooming, understood the role he was expected to play. He was dutiful and devoted to that role—to the point of coldness at times—for the entirety of his life. In his view, the happiness of the individual mattered very little when compared to one’s duties and obligations. Sisi did not espouse that unwavering devotion to her role or to the many demands of life at the helm of the Habsburg Empire. Sisi was independent, and romantic, and sensitive, and free-spirited. In addition to her immaturity and inadequate preparation, Sisi also seems to have had precisely the wrong temperament for the job she landed. In that way, Archduchess Sophie was, oddly enough, correct. You might even say she called that one. What do you make of the character of Sophie? How influential was the archduchess in Sisi’s life and marriage? Other than Franz Joseph, that relationship is really the dominating one in Sisi’s early life at court. And as you can see, it was an extremely fractious one. One historian refers to Sisi’s “almost pathological dislike of the Archduchess” (Joan Haslip, The Lonely Empress: Elizabeth of Austria). It’s a dynamic as old as time itself: the overbearing mother-in-law, the resentful daughter-in-law, and the hapless husband caught in the middle, clueless as to how to negotiate between the two. Throw in the internal and external pressures that this young couple faced, and you have the recipe for a disaster of epic proportions. Sophie was a powerful figure, looming large over both the court and over most aspects of Sisi’s private life and marriage. Sophie did in fact take the children from their mother. Sophie did install her ally, Countess Esterházy, in Sisi’s apartments. She did exert influence over her son’s conservative foreign policy. Sisi was much harsher in her writing than Sophie was on Sisi. In Sophie’s descriptions, you see a devoted—to the point of overbearing and meddling—mother who believes that nothing is too good for her son. What wife can’t help but fall short in those circumstances? But Sophie’s criticisms of Sisi are subtle and nuanced, what we might call passive aggressive. Perhaps that speaks to the different personalities of the two women; while Sisi did not attempt to mask her moods and emotions, Sophie was subtle and shrewd and always aware of how things appeared. And then the other colossal figure in Sisi’s life was Count Julius Andrássy. What do you make of him, both as a character of fiction, and as a real historical figure? Ah, yes, Andrássy. He makes me swoon, as he made the ladies of his own time swoon. Multiple biographers refer to Andrássy as the great love of Sisi’s life. Brigitte Hamann is one such example. The sense I got from their own letters and writings was that Andrássy and Sisi shared a deep connection—emotional as well as intellectual—and a profound respect for and devotion to one another. Andrássy seemed to give Sisi the validation she had always craved from Franz Joseph. Andrássy’s letters to Sisi show that he valued her input and he sought her involvement in his political and personal affairs. He actively recruited her as a partner in negotiating the Austro-Hungarian Compromise of 1867. Were there places where you deliberately deviated from the historical record to veer off into fiction? Yes. And that is probably the biggest challenge for me in writing historical fiction: first wrangling the historical record and then allowing myself the creative space to write fiction inspired by it. Each instance where I altered or interpreted the facts was the result of much thought and intentional deliberation. The Andrássy relationship is one of the biggest instances. As this is a novel and not a biography, I had the luxury of pulling not only from the proven facts, but from the mythology and reports as well. There were rumors and reports that the relationship between Andrassy and Sisi was a romantic one, and they certainly loved one another, but biographers obviously can’t prove definitively whether they were intimate. Additionally, this is the Victorian era we are talking about, so matters as delicate as intimacy were dealt with in those days only through innuendo and gossip, veiled with the secrecy and shame necessitated by the prudery of the time. In my fiction, I chose to imagine and explore the possibilities that were enabled by the rumors, and I gave Sisi and Andrássy the full extent of a romantic relationship. It seemed like the appropriate arc for them as characters of this novel. Additionally, Andrássy did not meet Sisi for the first time at the opera in Vienna. At that point, Andrássy was still a political opponent of Franz Joseph’s (exiled after the uprisings of 1848–49) and was not a visitor to the Austrian capital. But, knowing what a major character he was to be, both in Sisi’s real life and in my own novel, I chose to introduce the character of Andrassy to the reader and to Sisi a bit earlier than the actual dates would have allowed. Another place where I deviated from the historical record was in the treatment of some of the tangential family members. For example, Franz Joseph’s father was still alive during the years covered in The Accidental Empress, but he was an inconsequential player in Sisi’s life and marriage. As my fictional Franz Joseph says in this novel, it was his grandfather, the Emperor Franz, who played the primary role of father figure in his life. Franz Joseph’s father was unambitious and weak and played almost no role at court, and no role in Sisi’s life. Franz Joseph also had three younger brothers and a younger sister. But, again, as they played only minor roles in the life of Sisi, I made the strategic decision not to expand the already large list of supporting characters. On Sisi’s side of the family: Karl, Sisi’s brother, was not such a bullying menace as I portrayed him in my book. Sisi was actually close to all of her siblings. I needed a mechanism for some early character development for the spirited, plucky young Sisi, and so Karl became an early opponent of sorts. The imperial trip to Salzburg during Sisi’s first winter as empress was entirely fictional. They did travel to Salzburg throughout their marriage, but not at that moment. However, having been to Salzburg at Christmastime, and having witnessed firsthand the magic of that Alpine town over the holidays, I felt that there had to be a scene with them there, in that place where “Silent Night” was composed. And I wanted it to be while they were still happy. For the purpose of pacing, I’ve modified the timing of Sisi’s fourth pregnancy just slightly. Historians assert that Sisi brought every bit of leverage she had to the negotiating table in order to bring Franz Joseph around to the idea of the Hungarian Compromise; a temporary reconciliation in the marriage was a critical piece of that. Sisi and Franz Joseph conceived around the time of the Austro-Hungarian Compromise, but it was right after the coronation as opposed to right before it. And finally, individuals who are well-versed in the musical history of this time period will note that there's an anachronism in my mentioning of The Skater's Waltz. Émile Waldteufel composed that hauntingly beautiful piece several decades later than I place it here. I utilized the license granted to historical fiction to get this great piece into the story because it is so whimsical and moving and lovely, and it struck me as the perfect musical accompaniment for Franz Joseph and Sisi while falling in love. It also happens to be a piece of great personal significance to me, and if there’s one waltz that I would credit with providing me with the musical fuel and inspiration needed to write this story, it’s that one. What about the rest of the cast of characters? Are they based on the historical account? I drew directly from the history in creating the characters for The Accidental Empress. And I was so fortunate to have such a colorful and complex cast of individuals from which to pull. Agata, the servant, is the only major character created entirely from fiction. Everyone else is named for and plays a role inspired by the role they played in Empress Elisabeth’s life. What is the biggest challenge in writing a novel like The Accidental Empress? Wrangling the historical record. There’s so much information out there. And it’s so fascinating that I want to use it all. I wanted to include as many facts and events and individuals as I could, until the story was bursting at the seams. When writing a novel, the story has to flow in a manner completely different than that of a textbook or a straight biography. I can’t just list an infinite number of facts. I have to choose what I need to tell my fictionalized version of this story. It was also difficult when I came to junctions in Sisi’s life where the historical record is mixed on what exactly happened. For example, when Sisi flees court for the first time shortly after Rudolf’s birth, some historians point to her husband giving her a venereal disease and/or being discovered in infidelity. Others say it was entirely Sisi’s depression and other mental health crises that caused her to ail. I can’t say who is correct, but, since this is historical fiction, I chose to explore one possibility and what it would mean for the arc of the characters and the plot. What went into your research? A lot of reading. The names of the biographies and books I relied on are listed in my Acknowledgments Section. I read not only about the characters but also about the world they inhabited and what their daily lives might have looked and felt like. I’m grateful that so many historians have devoted so much time and research to these individuals, and that I get to be the beneficiary of all of that great work. And then one of the most fun parts of the research process is traveling. It was in Vienna, years ago, that I first stumbled across the image of Sisi. She still looms large in Austria and Hungary as an almost deified figure. The Schönbrunn and Hofburg Palaces are fantastic resources in which to learn about not only Sisi, but all of the Habsburgs. Vienna today still feels so grand and imperial. Budapest, to me, feels more whimsical and unruly. Walking around the Castle Hill and looking out over the Danube and the Chain Bridge, I could imagine why the romantic Sisi loved it there so much. Speaking of Budapest, the scene of the Hungarian coronation is interwoven throughout the novel. Why did you pick that scene to be both the grand finale and the linking scene that we keep coming back to as readers? That was Sisi’s moment of triumph. It was at that time that Sisi reached the height of her power, her influence, and her physical strength and beauty. The years leading up to this moment had shown that the policies advocated by Archduchess Sophie and the conservative bloc at court were failing. The disastrous war with Prussia was a clear example of that. And meanwhile, Sisi’s power at court was in the ascendency. It was at that time that she began to make demands for herself as an individual and a mother, as well as to assert herself as an advisor in politics. The Hungarians truly did love Sisi and embrace her as their queen in a way that they did no other Habsburg. And Sisi returned that affection. She did in fact learn Hungarian and infuriated many in Vienna by speaking in Hungarian. And she did choose to surround herself more and more with Hungarians (like her two favorite attendants, Marie and Ida). After years of unhappiness at the Viennese Court, Sisi negotiated a separate peace for herself. Hungary was a huge part of that. So the ending is kind of a cliffhanger. Is there a part two in the story of Sisi? Well, from where I’m sitting, there’s a lot more story to be told! Sisi has a lot more living to do, and I can tell you this much—if you think her life has been tumultuous and dramatic so far, you have to see what happens in the coming years. "This novel is captivating, absorbing, and beautifully told--I can't wait for the sequel!" "A love match alters the course of history...Pataki deserves kudos for choosing her subject matter well—Sisi's life is ideal fictional fodder." "Intricately plotted, Pataki's latest is engrossing and incredibly real." "Another absolutely compelling story. I loved it." "The Accidental Empress is lush, romantic, and enlightening—a truly lovely novel." "Allison Pataki brings to life one of the most enigmatic, intelligent, and stunningly beautiful women ever to have graced a court in Europe. A remarkable novel about a truly remarkable empress!" "Once again Pataki stuns by diving deep into the pages of history and bringing up a heroine who is not only a jewel, but a red-blooded, complicated woman, allowing us to see history through a refreshingly new perspective. Smart, interesting, and chock-full of betrayal, intrigue, and love -- The Accidental Empress had me glued to the page." "A glorious novel about a misunderstood empress...With a sumptuous sense of history and evocative attention to detail, Allison Pataki conjures the rebellious, glamorous spirit of Sisi of Austria." 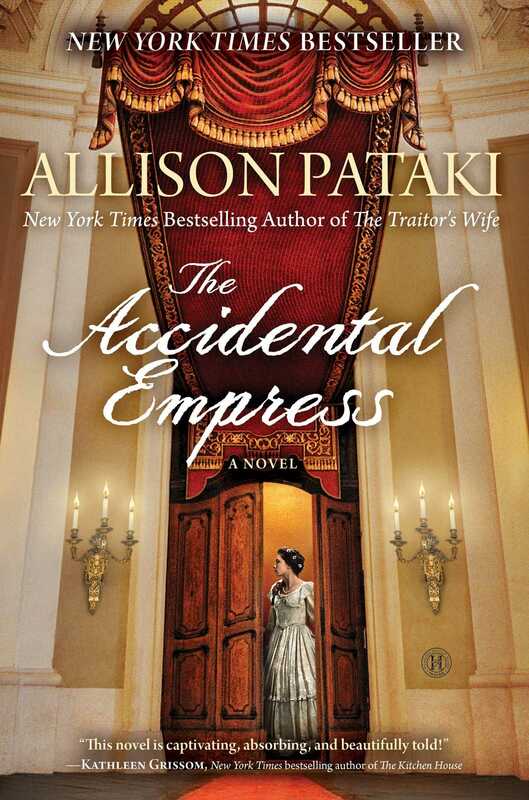 "The Accidental Empress is a tale of royal love we don't know but should, and who better to share it with us than the supremely gifted and entertaining historical novelist, Allison Pataki. A delightful gift for readers...The Accidental Empress is enthralling." "The Accidental Empress is a stunning masterpiece of imagination, enriched with lavish historical detail. Utterly riveting, amazingly insightful. A splendid saga sure to capture the heart." Pataki’s fully drawn ACCIDENTAL EMPRESS is an indelible portrayal—not only of one of the most complicated and misunderstood Habsburgs, but of a turbulent royal marriage during a tumultuous era. "Allison Pataki so vividly depicts the world of the Habsburg court, you'll feel the silk of Sisi's gowns under your very fingers as you eagerly turn the pages of THE ACCIDENTAL EMPRESS. As a woman both ahead of her time and wholly situated within it, Sisi makes for a captivating central figure, and rarely has an author so heartbreakingly captured the exquisite tragedy of getting what you want. Sumptuous, surprising, and deeply felt."